Craftsmanship counts. If your roof needs a repair or complete replacement, it makes a big difference when the work is done by a skilled and courteous crew. A good roof fills a homeowner with an enormous sense of security. It's a little like having new tires on your car. Wind, rain, ice, and snow become a lot less fearsome. Contracting for a new roof, however, is a lot more complicated than buying a new set of tires. That's where Smart Care Exteriors excels as a leading roofing company in CT. Founded in 1990, our goal was to build a solid reputation and to form lifelong customer relationships. Hundreds of satisfied customers later, we're still doing just that. Connecticut Homeowners have Trusted Us Since 1990. "Excellent service at a fair price. Frankie, who scheduled the work was..."
Excellent service at a fair price. Frankie, who scheduled the work was friendly and timely with good follow through. Pat, who removed the snow from my roof in zero weather and below zero wind chill was outstanding and did an excellent job in difficult conditions. I highly recommend Smart Care Exteriors. Thank you! "Very pleased with your work today and would definitely use Smart Care..."
Very pleased with your work today and would definitely use Smart Care Exteriors again in the future! "I WANTED TO THANK SMART CARE FOR GETTING OUR ROOF AND GUTTERS DONE IN A..."
I WANTED TO THANK SMART CARE FOR GETTING OUR ROOF AND GUTTERS DONE IN A TIMELY FASHION. THEY HAVE EXCEEDING OUR EXPECTATIONS!! "I was informed that there was no flashing around the windows under the..."
I was informed that there was no flashing around the windows under the vinyl siding that was installed when the house was built. That left the north side of my house very susceptible to water damage from ice damming. Smart Care Exteriors applied water and ice barrier and caulked each window. They also waterproofed my chimney and installed copper flashing with welded seams. Only time will tell if this is enough to protect from future ice damming, but I feel it is the absolute best action we could take to address any future problems. "Everyone was great; clean up was done as explained daily; crew very..."
Everyone was great; clean up was done as explained daily; crew very friendly....great team. "Will certainly call your company again." Will certainly call your company again. "Copper Gutters / Great job at a fair price. Excellent workmanship." Copper Gutters / Great job at a fair price. Excellent workmanship. Contact Smart Care Exteriors to schedule your Free Estimate for roof replacement or our other services such as, gutter installation and more! We proudly service Fairfield and New Haven Counties including Monroe, Redding, Easton, Danbury and more. As one of the certified GAF Master Elite Weather Stopper roofing contractors in Connecticut, we have the trained expertise to help you choose the right roofing material and the appropriate style and color for your home. 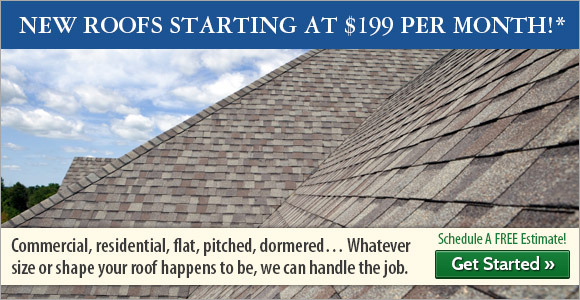 We even offer lifetime warranty shingles through our affiliation with GAF and we have people and products to help us make your home the best it can be. Plus, GAF and Good Housekeeping both promise a Lifetime Roofing System Limited Warranty on specific systems to help protect you and your home. Our roofing crews have the experience and equipment to safely install roofs at all slopes and heights, both residential and commercial. If old layers of roofing need to be replaced, the debris disposal will be managed in a careful, efficient and environmentally sound way. You won't have to worry about damage to foundation plantings from falling debris – or picking old roofing nails from your lawn! Plus, our skilled carpenters can replace damaged or rotted roof sheathing and fascia boards if necessary. 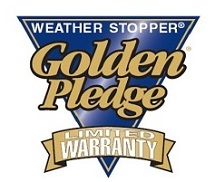 GAF Ltd. offers the GAF Golden Pledge warranty to you because we are a GAF Master Elite roofing contractor. What does that mean for you and your home? It means a transferrable, warranty on the entire roofing system, lifetime cost of labor installation coverage (25-30 years on 3 tab shingles), 50 year material defect coverage (20 years on 3-tab shingles), problem prevention and maximum Category 3 hurricane strength wind coverage. Contact us for more specific information. Dormers, chimneys, vent stacks, and roof windows will be properly re-flashed when necessary. Valleys and eaves -- places that are vulnerable to ice dams -- will be carefully flashed with EPDM membranes that prevent damaging leaks. In addition, we can ensure that your gutters and leaders get cleaned, sealed, repaired, and reinstalled at the proper pitch for efficient operation. Smart Care Exteriors even offers gutter cleaning services, should you need us in the future. Roof ice damage, roof snow removal, and leak inspections offered year-round, even in the winter! 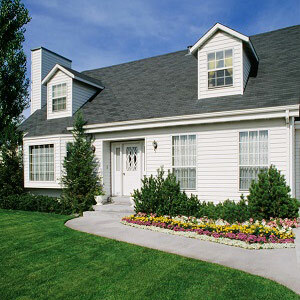 Should you want to completely renew your home's exterior, ask us about our siding installation services. We offer many styles and materials! New Roof Installation. We've worked with Connecticut's best contractors on projects. If your contractor doesn't know a roofer, have them call Smart Care Exteriors. It's essential to have a good roof in place before beginning any home remodeling. If not, there's a good chance your new floors, cabinets, drywall, and paint job will be ruined by leaks. Smart Care Exteriors' roof inspection service can help you assess the condition of your existing roof before you make expensive improvements. Gutters and leaders (downspouts) are an important part of your defense against a wet basement. If underground drains are called for, we can help with that, too. Like you can see in the pictures above, roofing and replacement windows often go together. Even if your home doesn't need both items to be replaced, you want to make sure that the company who's doing the work knows what they're doing. In our years of experience, we've also found that the wood trim around windows often have rot issues that can quickly spread to other building materials in the home. Our crew is trained to spot issues like these and will alert you if they see spots where damage has occurred. Fixing these problems quickly can be the difference between paying for a small repair and paying for a large one. Call us for a list of satisfied customers in your area. Smart Care Exteriors is a fully insured, licensed, and certified roofing and replacement window company that takes great pride in our work and hires only the most skillful workers. We can fix your roofing, replacement windows, gutter installation, and other needs in Easton, Redding, Bethel, Newtown and nearby. "Excellent service at a fair price. Frankie, who scheduled..."
"Very pleased with your work today and would definitely use..."
"I WANTED TO THANK SMART CARE FOR GETTING OUR ROOF AND..."
By Tomas And Hilda A. This homeowner was having issues with her gutter system clogging from all the leaves falling off into the gutter system. Smart Care recommended Leaf Relief to help eliminate the gutter system clogging. With installs of Leaf Relief we give a complimentary gutter cleaning as well. Call today for a free estimate on your gutter system! We installed red cedar wood shingles on this home in Darien, CT. This gutter work was old and failing before we upgraded it in New Canaan. Call us today to check out all of our great financing options for roof repair and roof replacement! This Danbury, CT homeowner was so excited to have copper gutters! Not only are they beautiful, but they won't rust or leak! I'd recommend Smartcare in a flash to anyone.